Learn Social Media on YOUR schedule. Anytime. Anywhere. 5 Years. 125,000 Students. One Focus. Your Success. plenty of other people have told us how much they love SMMU too! Learning about the various ways to use different social media sites was great. How to create a welcome tab on a Facebook Business page was something I learned and am now using on my company page on Facebook. Just finished a great webinar on increasing social media marketing ROI by SMMU - applicable tools and knowledgeable presenters. Got my Social Media Strategist Certificate yesterday. Very nice! Another interesting and informative session at SMMU. Thanks! Great Facebook 101 session with SMMU! I passed my Advanced Twitter Exam today! Thanks SMMU! Great course & very informative! Why Should You Enroll With SMMU? They say imitation is the highest form of flattery, and since we created the world’s first Social Media Strategist Certification in 2009 there are imitators popping up everywhere. We don’t mind the competition, but when you enroll with Social Media Marketing University you’ll instantly understand why the imitation is always 2 steps behind. It has been said that “practice makes perfect”. 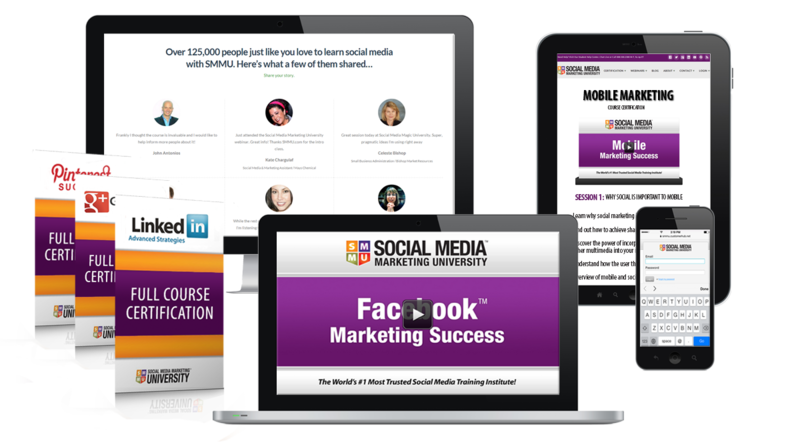 After training more than 125,000 students Social Media Marketing University has obviously had a lot of practice. Many of our students are studying for a specific interest and only take one or two workshops or certificate courses, and well over 7,000 have enrolled in our full Social Media Certified Strategist training. 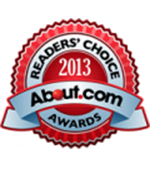 About.com awarded us People’s Choice for Best Online Education Website. Named Top Five Best Social Media Services for Small Businesses in the 4th Annual Mashable Awards in the “Best Social Media Service for Small Business” category. We won the 2012 International Business Award for Best Social Media Training Site. Our founder John Souza was named “Social Media Marketer of the Year” by The Technology Association of Georgia (TAG). Now, we don’t say that to brag or boast, but we do believe you should know that when you choose to learn with us you are joining the ranks of hundreds of thousands of people before you who have called SMMU “the gold standard” in social media training. We help you stay focused on what really matters, so you never have to worry about being overwhelmed or intimidated by the curriculum. Also, our highly-targeted curriculum allows us to limit the scope of our training so our courses are always the most up-to-date and taught by our hand-picked expert strategists. What this means is that you’ll never have to worry about the quality of the training and you’ll be able to get in, enjoy your training, and get your certificate without all the fluff. Wouldn’t it be nice if everyone focused on quality instead of trying to impress you with “hundreds of courses”? Browse Certification Programs and Enroll Now! This is really valuable info. I will replay and share with other interested colleagues.These courses are packed with valuable info!